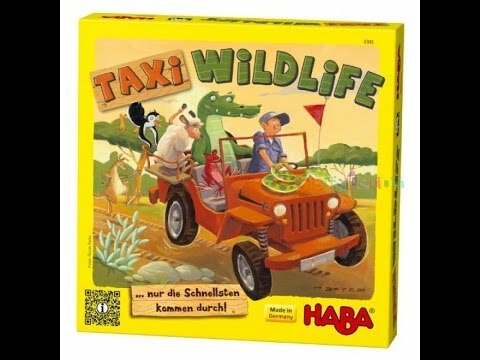 Taxi Wildlife társasjáték - Magyarország társasjáték keresője! A társasjáték érték! 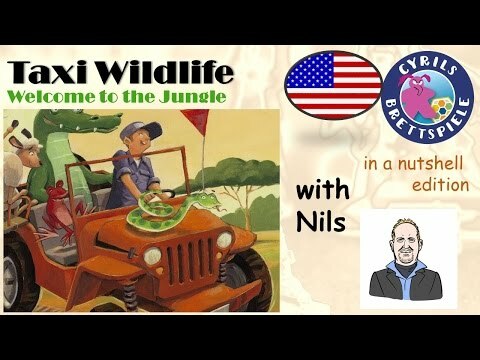 A Taxi Wildlife egy remek társasjáték, 2 - 4 játékos részére, az átlagos játékidő rövid, csak 10 perc. A társas elsősorban gyerekeknek készült, akár már 5 éves kortól is játszható. A játékmenet erősen épít a minta felismerés mechanizmusra. 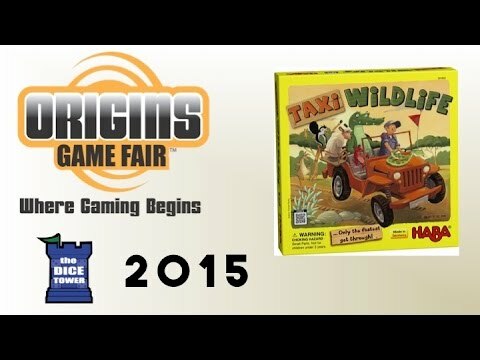 Players in Taxi Wildlife want to give rides to as many animals as they can, while also traveling far into the forest. To set up, each player takes a colored start cards, each of which shows a single path on one edge that branches into two paths at the opposite edge. 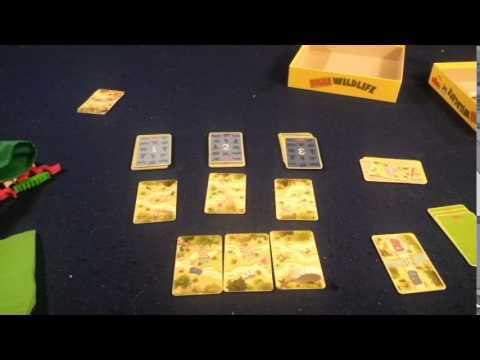 Players place two each of six kinds of animals into two separate bags; someone shuffles the duel cards (after first removing any colors not in play), then places the four round cards in numerical order. Shuffle the three stacks of route cards, then reveal one card from each deck; each route card depicts an animal on the sign next to a taxi stop and some cards also show the animal on the card. In each round, you'll draw the duel cards one by one, and for each duel card the two players shown on the card each take a bag, then race to find one of the animals depicted on a face-up route card in their bag — without looking inside the bag, mind you. 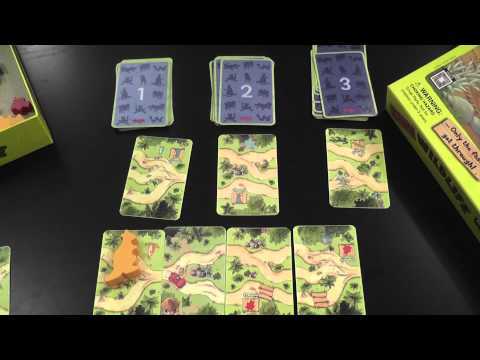 If a player finds the wrong animal, then the opponent can still find one; if the player finds the right animal, he takes the matching route card from the display and tries to add it to his start card on either the left or right side. The number of paths on adjacent cards must match! If they don't match, the player returns the card, gaining nothing, and the next duel card is drawn. In addition, if the route card actually depicts the animal in question, the player keeps the animal token instead of returning it to the bag. Once all the duel cards have been used, shuffle them and reveal the next round card. 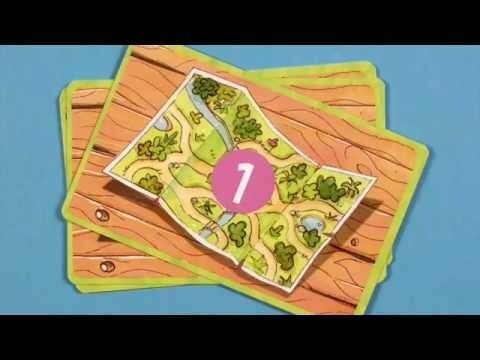 After four complete rounds or after one stack of route cards is empty, the game ends. Each player scores one point for each route card in her path and each animal in her collection; whoever has the high score wins!